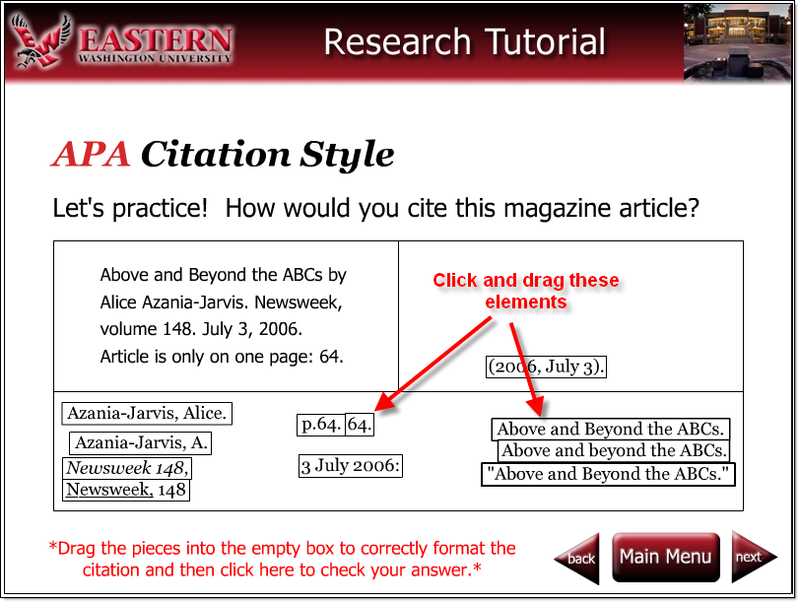 Noticed a really nice Flash tutorial from Eastern Washington University was chosen as the September 2007 PRIMO Site of the Month - Citing Your Sources: APA and MLA Citation Styles. After learning about citation styles, users have the chance to click and drag various parts of the citation into the correct order, and then check their answers. Also learned from the interview on the PRIMO site that APA has finally come out with something new addressing the citation of electronic sources: APA Style Guide to Electronic References. It's only available as a PDF, but site licenses are available.